Do drones pose a threat to our privacy, or are they just the fruits of innovative technology with benefits for governments and industry? A mini inquiry at Parliament House in Canberra on Friday will try to answer the question.The drone "roundtable" inquiry by the House of Representatives Standing Committee on Social Policy and Legal Affairs follows the release of the 2012-13 annual report from the Office of the Australian Information Commissioner last year. 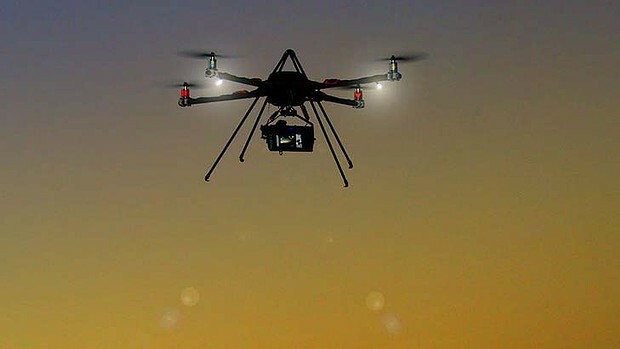 The Civil Aviation Safety Authority, Airservices Australia, CSIRO, the Australian Privacy Commissioner, Australian Federal Police, Australian Privacy Foundation, drone company Parrot, the Australian Law Reform Commission and others are among the invited parties asked to attend on Friday. The professional body that represents the Australian Certified UAV Operators was not invited, and had to request to attend at the last minute. This omission is quite interesting as it a requirement to be a certified operator and one would assume that certified operators would be able to contribute to such a forum. "As someone who designs, builds and is licensed to fly UAVs I will watch the committee very closely. It was interesting, however, that not all the key players were there and in fact one of them was a toy manufacturer. As for your privacy concerns, I really couldn't care less about what you're doing in your backyard as I'm more focussed on agricultural, search and rescue and using the technology where traditional aircraft are not suitable. Generally speaking, the average Australian's life isn't that interesting. And honestly, if you are worried about your privacy, perhaps stop using your smart phone to take pictures and them upload them to social media. The GPS location meta data makes it very easy to find you. Finally, seeing you don't own the air above your property, if you touch one of my ($50k +) UAVs, whilst I'm flying in accordance with CASA's regulations, I will be coming for you legally. The serious operators all have remote sensing/video capabilities and know what's happening at any point in time." I'm sure the same thought re privacy is in other countries, not just Australia. Just wondering if anyone ever found a transcript for the roundtable inquiry? I've sent off an email to them so if no one else finds it I will post it here. Darrell - do you have a link at all? Anyone else see this and go WTF? "APL is a producer-owned company combining policy, research and development, marketing and export under one body"
That and their website is down. I've just heard back from committee and they will release the transcript in the next few days on the URL below. The transcript has just been released on the link below.